Are you still looking for Valentine’s Day plans? 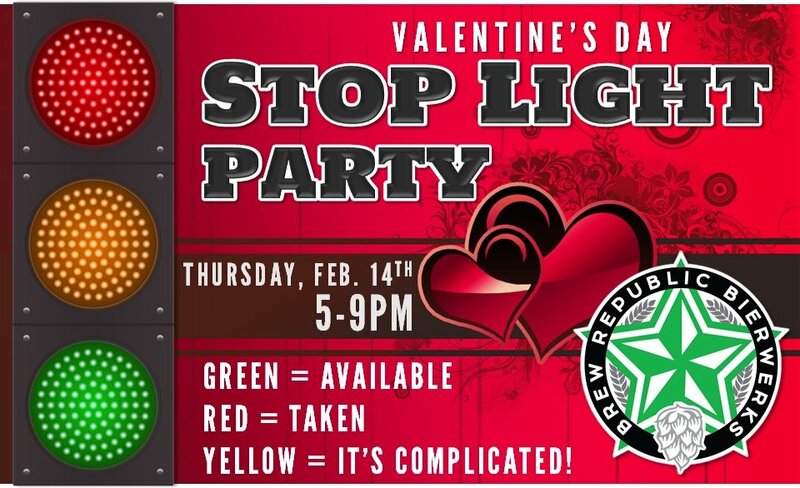 Whether you have a date or not, come on down to the Republic (no reservations required) for our Stop Light Party. We’ll have all day happy hour until 9 and a $3 Beer of the day! The dress code is as follows: Green=Available, Red=Taken, and Yellow=It’s Complicated!